Since 1995, the Women’s Fund of Long Island has hosted an annual Women Achievers Awards Breakfast. This year, on October 23rd at the Crest Hollow Country Club, the Women’s Fund of Long Island hosted nearly 700 guests to honor four women who have succeeded in business, government, philanthropy and community service. Among this year’s honorees was Jennifer Shaer, MD, of Allied Physicians Group. She serves on the Allied Board of Directors and chairs the Strategic Planning Committee. 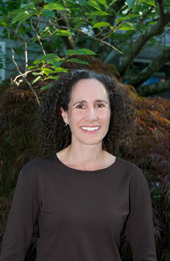 Dr. Shaer specializes in pediatrics and breastfeeding medicine. After becoming a Fellow of the Academy of Breastfeeding Medicine, she founded the first breastfeeding medicine practice on Long Island, which serves women of every socioeconomic background while offering support to those women through office visits, home visits, calls and social media. Dr. Shaer was awarded a CATCH grant to fund the Allied Breastfeeding Center. CATCH stands for Community Access to Child Health. Their mission is to support pediatricians in the planning or implementation of community based child health initiatives. In addition, beyond the world of medicine and healthcare, Dr. Shaer is a huge supporter of children in the arts. She is a founder and serves on the board of directors of the Long Island Children’s Choir. Congratulations, Dr. Shaer, for this well-deserved honor!